What Do You Like Best About Fcp? Form Of An Ice Menorah! 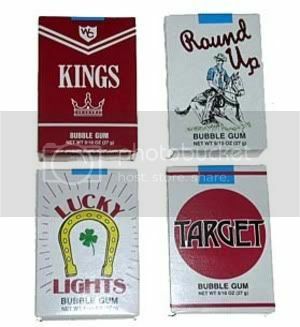 Dubble Bubble FTWIf you could make it though the jaw crushing first moments it had long lasting gum goodness in store for you. What is this esteemed panel's view on dubble bubble?Personally, I can take it or leave it. LOL @ the image that came up from my google search. Page 3 it was said and I'll say it again. Love the Dubble Bubble.Sure it had a bit of an odd flavor and sure it had jaw destructing power for the first minute, but for serious bubbles and lasting texture it was is and will always be the undisputed champion of true bubble gum. It's like you're dreamin' about Gorgonzola when it's clearly Brie time baby! As for things to add, I like the Leaderboard idea as well.As for what I like about FCP, well, the community as a whole. Other poker communities tend to be either very dry, or lean towards the nasty, vulgar side of funny (or perhaprs way past that side, really). The FCP community strikes a nice balance between intelligent discussion and funny, playful banter, with a well-placed zing here and there. I think we also have the privledge of being home to some of the classiest up-and-coming young pro's in the business, who are still willing to share wisdom, experiences, and a good laugh with us without being condescending towards new/worse players.Maybe that's just a reflection of the guy that got us all to come here in the first place, but I'm happy it worked out that way. All you really have to prove your worth is the friends you leave behind. Yes, gum is one of the major topics at FCP. Also, you're going to have to decide if you are for or against couches and whether you like red buckets or yellow buckets. There are a few cliques, but we all get along. You've got the Army, the Sickies, the Hideout, and.... there's another group, I don't know what to call it, but it includes members like FWP.Welcome to the site. Making sure someone dies in the Dead Pool since 1989. I can't believe I missed this thread as it was happening.It's hot. probably my favourite gum commercial here. Seriously, I like reading about guys that play poker for a living on here. e.g. JC, checky, NoSup, loosh etc. obv. DN too. Technically, the thread was hijacked when the subject of Ryland's trade value was first brought up. I, in all my wisdom and seeing that your thread was about to turn into a Ryland hate fest, racked my brain for something to bring everyone together in harmony. Big League Chew deserves the rest of the credit.Now you made me feel guilty, sigh. To answer your original question, what I like most about FCP is the posters. I've made multiple good friends (and not just online) from posting on here, and I'm sure that trend will continue. I was originally an RGPer, and although by the time I got there it had already fallen from what it once was, it pretty much was not a nice place (DN could verify this, lul). At first FCP annoyed me because everyone was too nice to an extent, but it obv grew on me.Most importantly, if it wasn't for FCP, then I never would have seen the beautiful image of a pink panther ice cream bar again. "PrtyPsux estaba jugando muy loose, raiseaba desde early con KJo...cosas asi." And really, that's what it's all about. I keep seeing this repeated over the last few days and all I can say is - who knew you guys were all such shoe whores? I'd like to know what Mr.Sparco thinks. I'd like to know about the Mr Sparco inside joke that apparently I am not a part of. Blow in the end, puff of powdered sugar came out.